A Family of Schools …. Oakhill is a whole school: Little Oaks is our Pre-prep School – Grades 000 to R (3/4 year olds; Oakhill Prep School – Grades 1 to 7; Oakhill College – Grades 8 to 12 (Matric) – all on the same campus! We have a sports campus close to the school where we offer rugby, soccer, cricket, Astroturf hockey, netball and water polo. 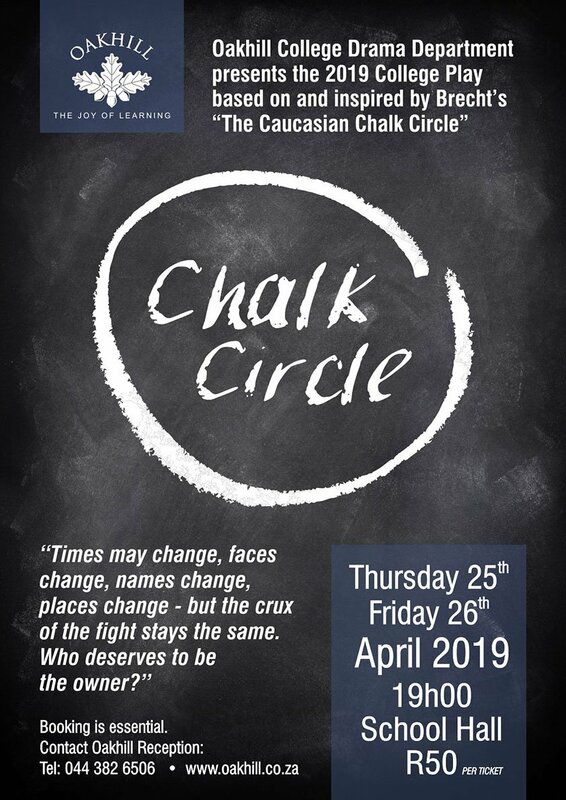 Whole child education happens in the broadest sense of the word at Oakhill and this involves much more than the excellent academic standards we maintain. From Grade 000 to Grade 12 we strive to ignite the imaginations of our pupils by encouraging them to explore and discover, question and create – to experience the joy of learning. It is a unique journey for each child towards developing identity and reaching their potential. We believe that every child has the ability to learn but not necessarily in the same way as the next one. WC & SA Champs here we come! Congratulations Matric Class of 2018! The Class of 2018 has achieved some wonderful results, both individually and collectively. We are delighted to announce that this year every matric candidate achieved a Bachelor’s Degree pass. 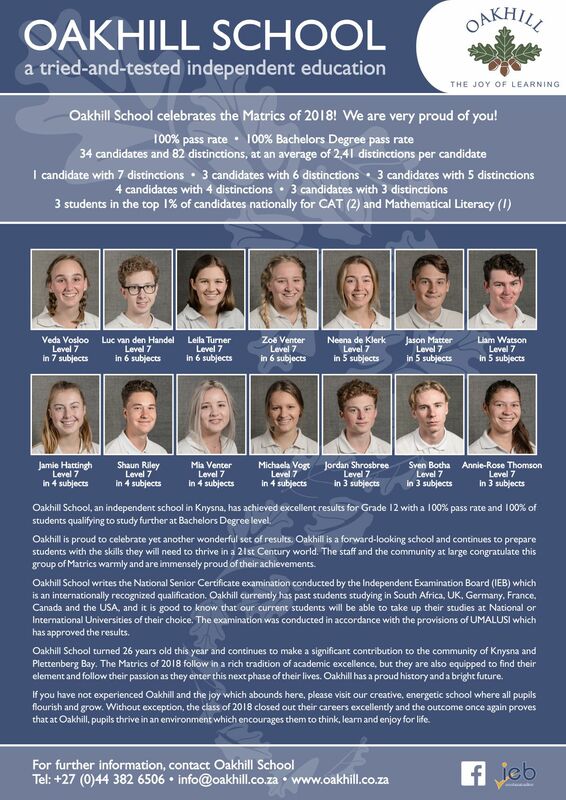 The 2018 group have produced their best set of results in the FET phase of school and the highest distinctions per candidate on release, as well as the highest composite subject average at Oakhill over the last four years.